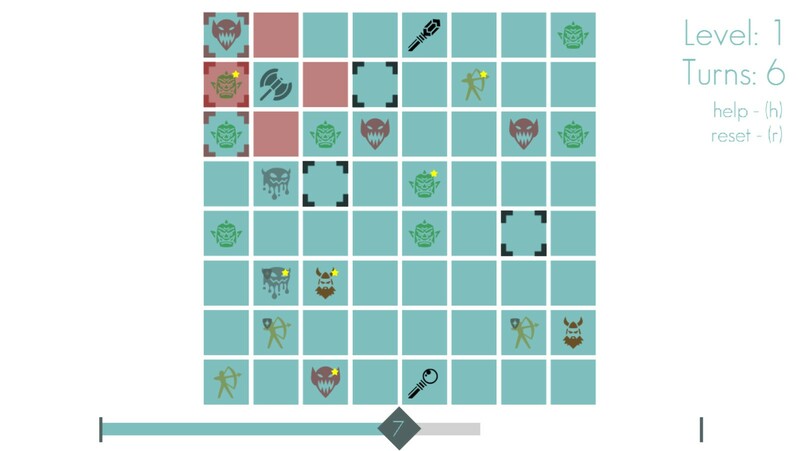 Militia by Brain Good Games is an elegant and satisfying turn-based strategy game, designed to be playable forever! 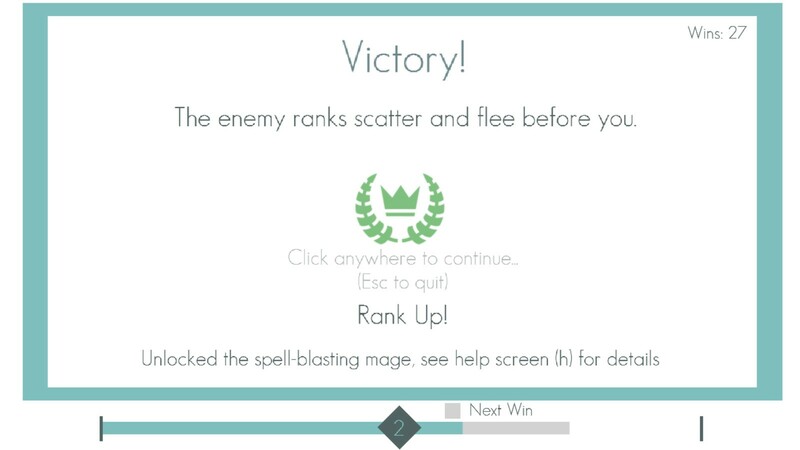 Militia includes a single player ladder system, so that the difficulty is tuned to your (evolving) skill level! Thanks for trying this early build of Militia, we plan to greatly expand on the gameplay here, and aim to deliver a gaming experience that will stay fresh for years. If you like what you see, sign up for the BrainGoodGames Newsletter. We'll let you know about major updates like Greenlight, Steam release, etc). 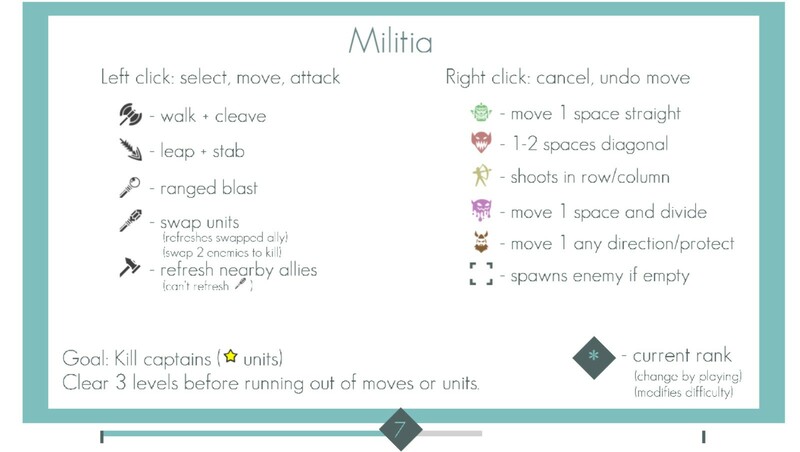 If you are a fan of chess or any turn based strategy games, you will be in for a nice treat with Militia. You started out with 2 units which have their own individual function and skills. Your aim is to destroy the monsters with stars. You will get more units and more types of monsters as you level up and this is where it gets complicated. This is the time that your strategic planning is required. Overall, from this demo, I can see that Militia is potentially a true star for strategy gamers. It proves once again that minimalist graphic can still appeal and compete against big budget games! I am excited to see what the developer will expand on for the full version.